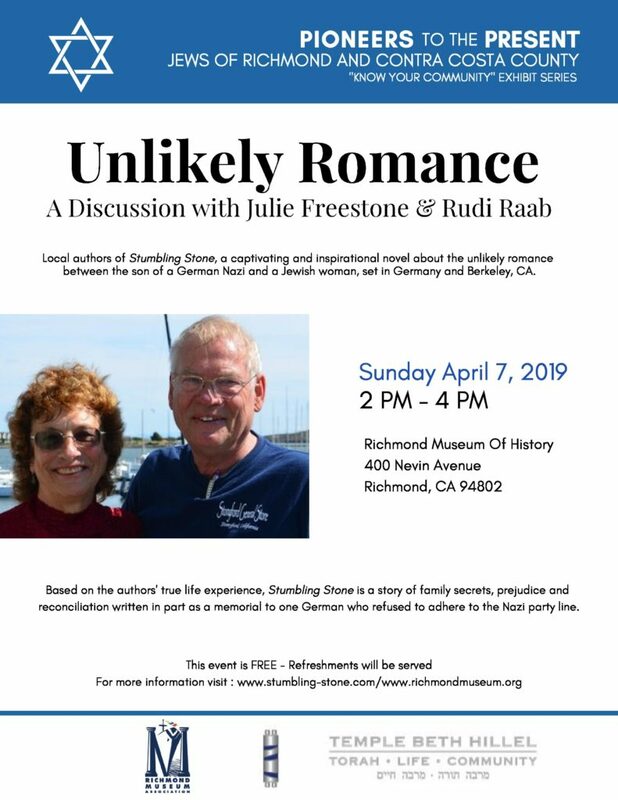 Local authors Julie Freestone and Rudi Raab speak on their novel Stumbling Stone (2015, Alvarado Press).How likely is it that the daughter of Jewish immigrants would cast her lot with the son of a high-ranking Nazi? However improbable, reporter Sarah Stern and German-born, Berkeley, California cop Karl Schmidt fall in love and embark on an all-consuming quest, probing his tangled past and the family’s sinister secrets. Stumbling Stone chronicles their journey across two continents and the discovery of horrifying surprises they never could have imagined.